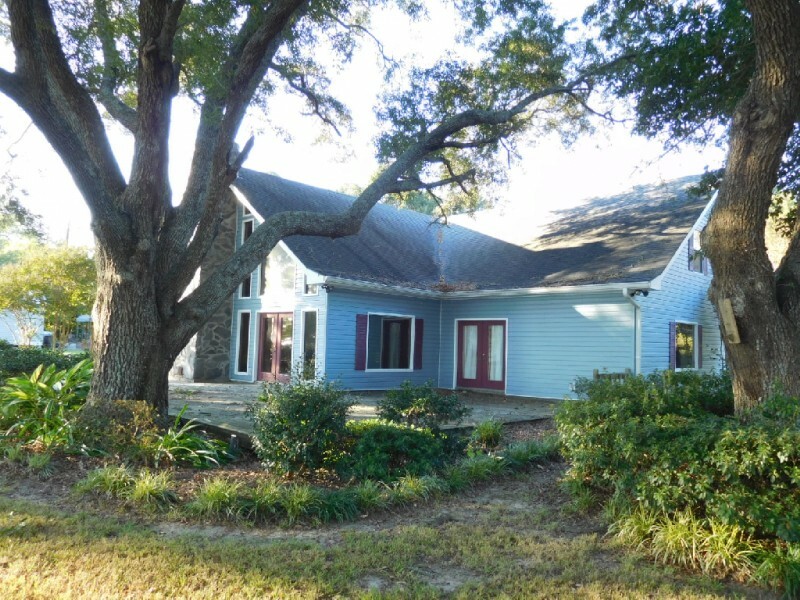 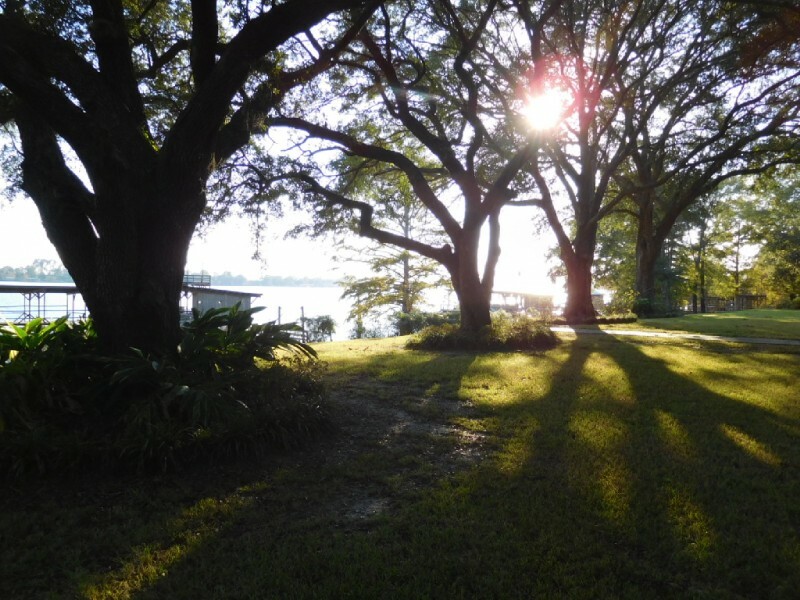 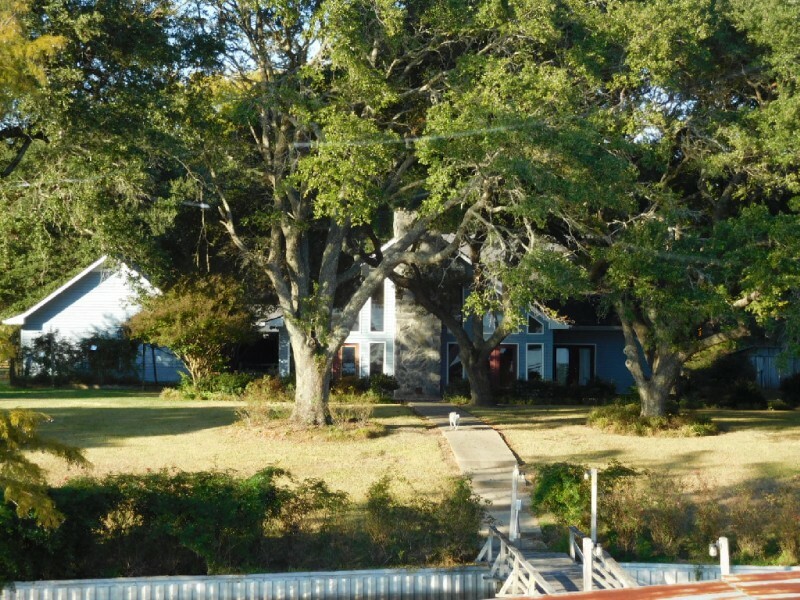 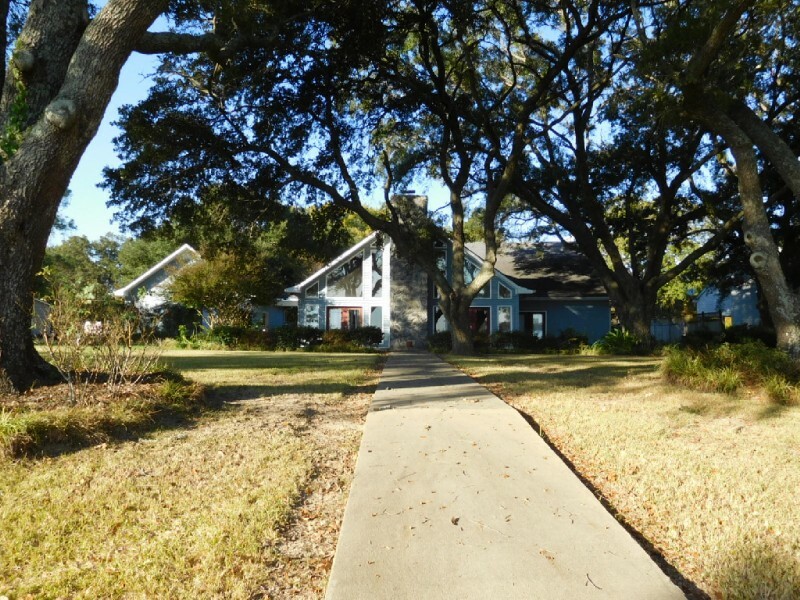 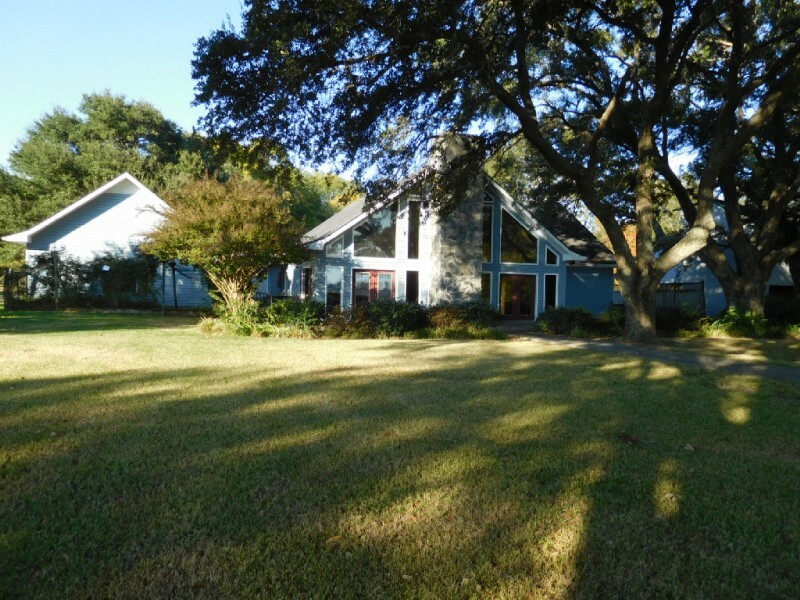 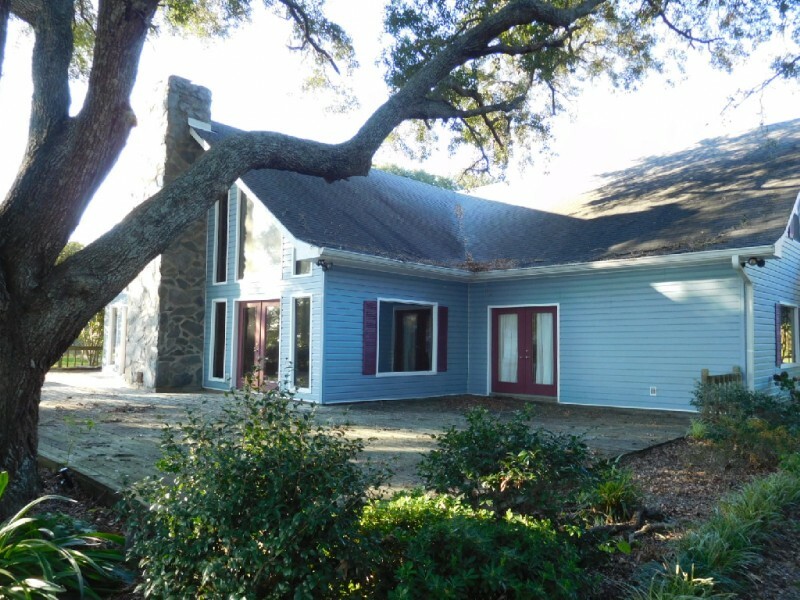 This magnificent home is nestled among huge live oaks just off Hwy 604 on the aptly named Live Oak Lane. 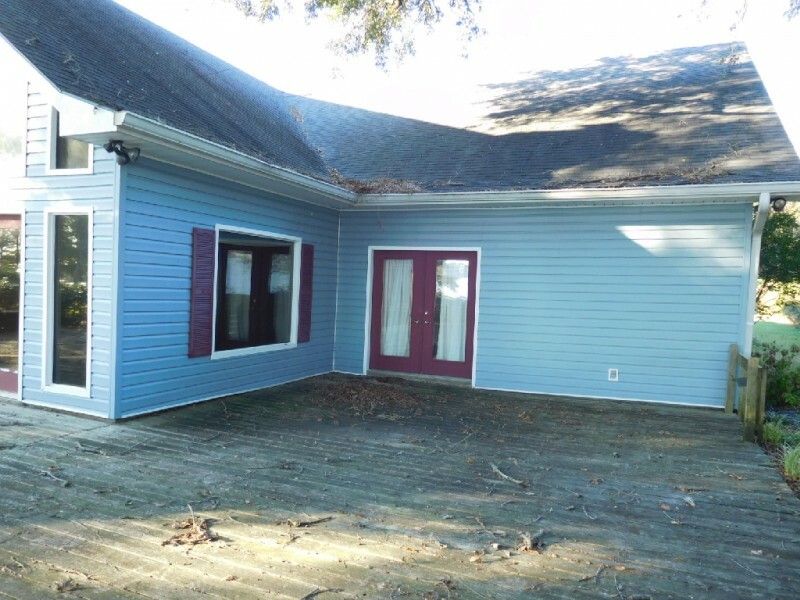 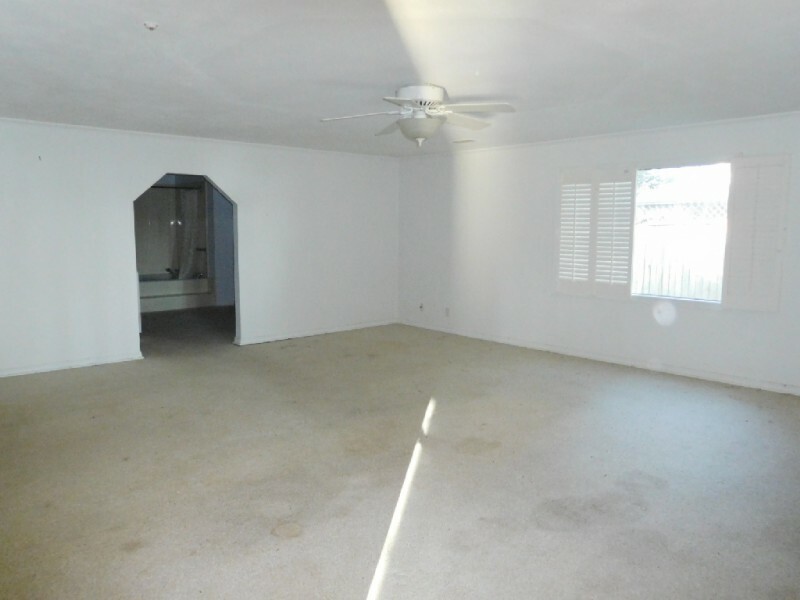 Five huge bedrooms, 3.5 baths, open den, living, dining and kitchen, two car garage, backup generator, two AC units, one that is fairly new, large wash room, tile floors, carpet in bedrooms. 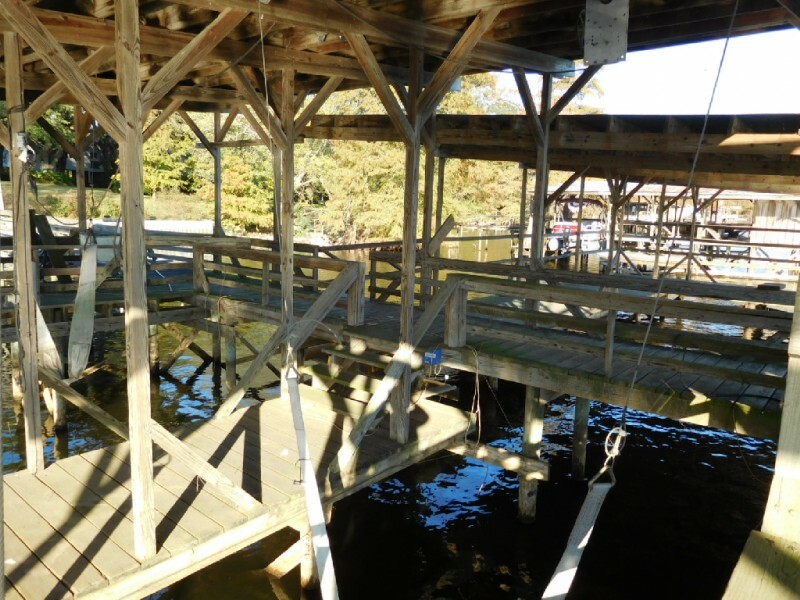 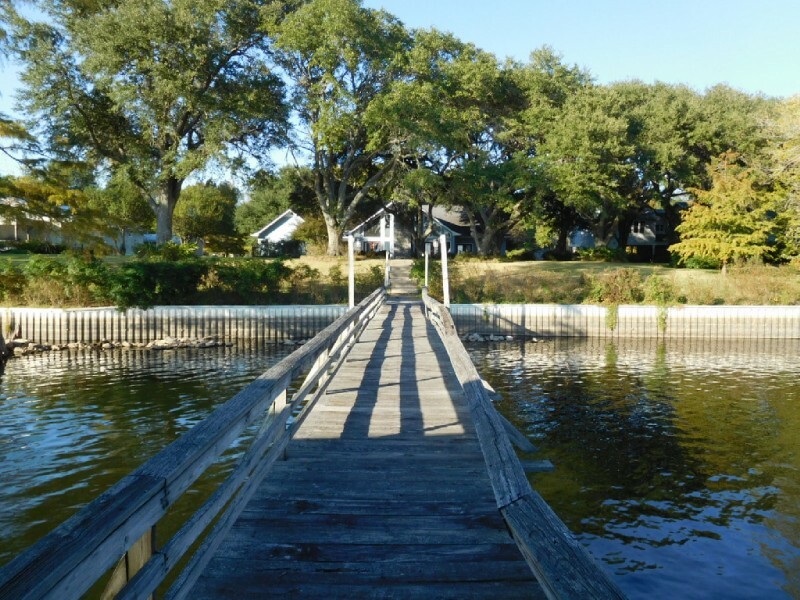 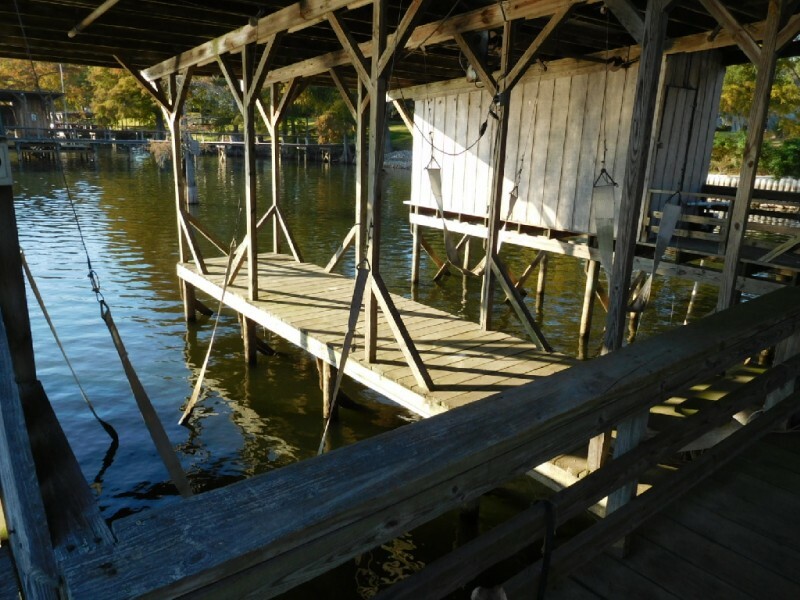 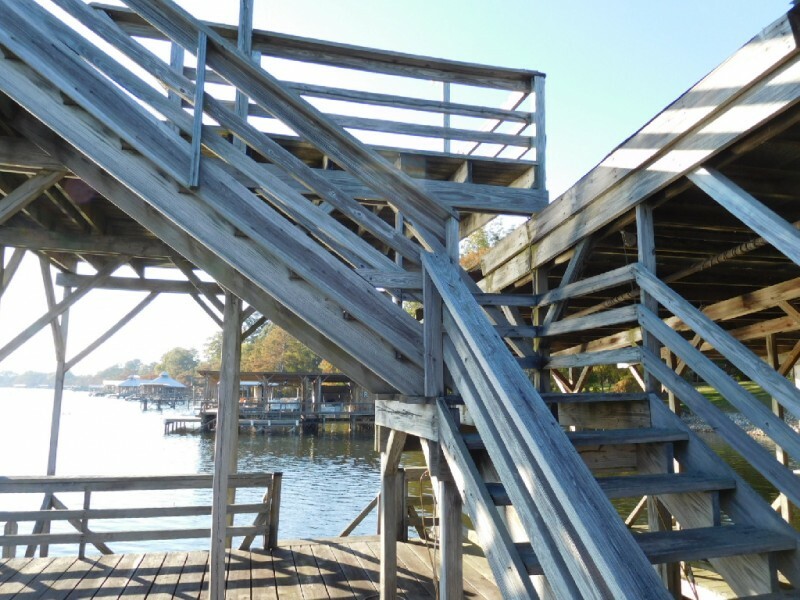 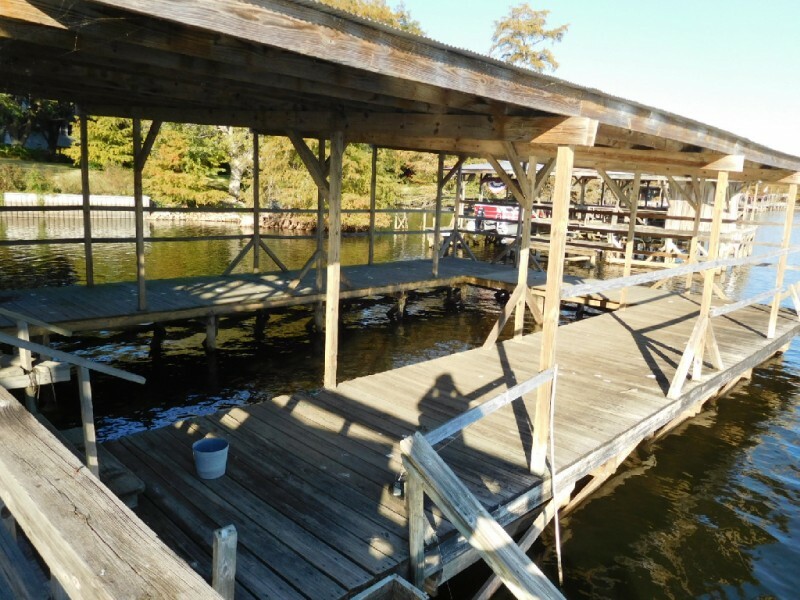 This camp has a large pier with two lifts, private fishing area, upper deck for viewing annual fireworks show, storage room, electricity, water, and pump for watering yard. 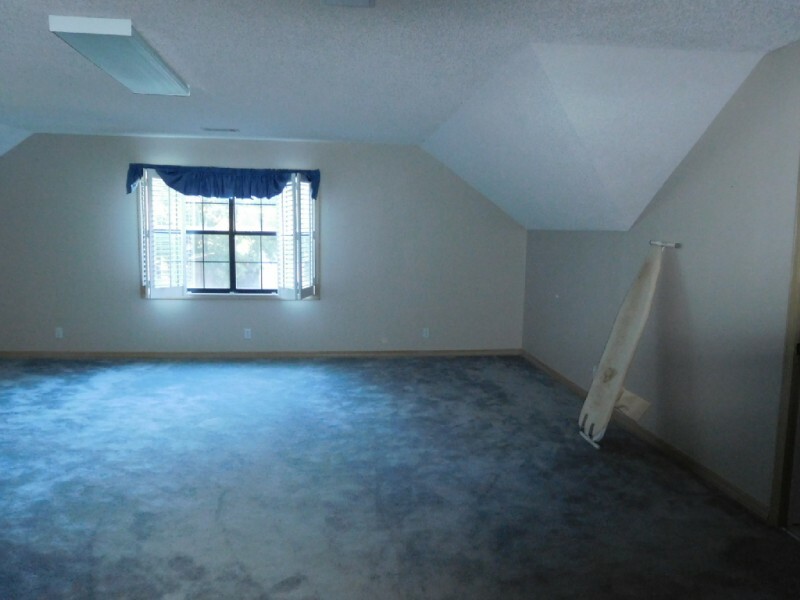 The mastersuite and two additional bedrooms are downstairs two with outside entry. 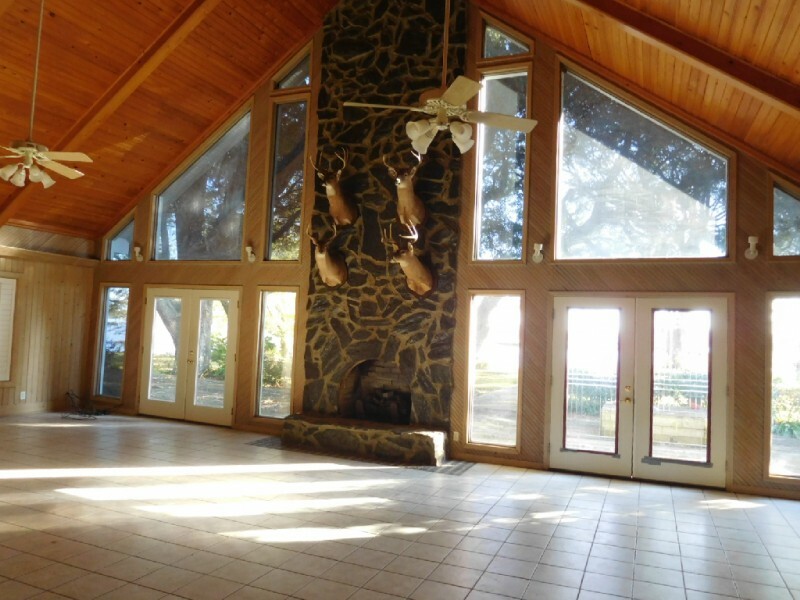 French doors lead from the mastersuite to the outside deck area on the lake side, one bedroom has outside entry on the land side. 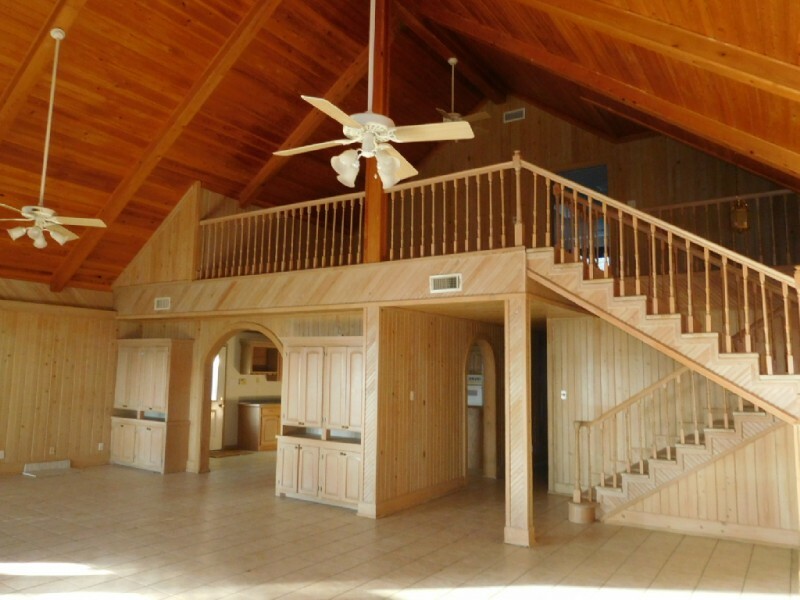 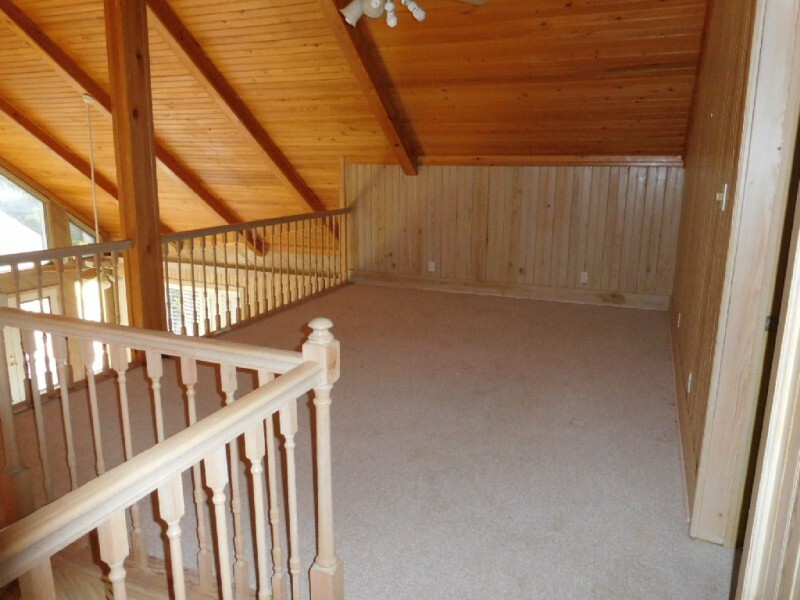 Upstairs is a large landing area perfect for open bunk area, or second den/tv room. 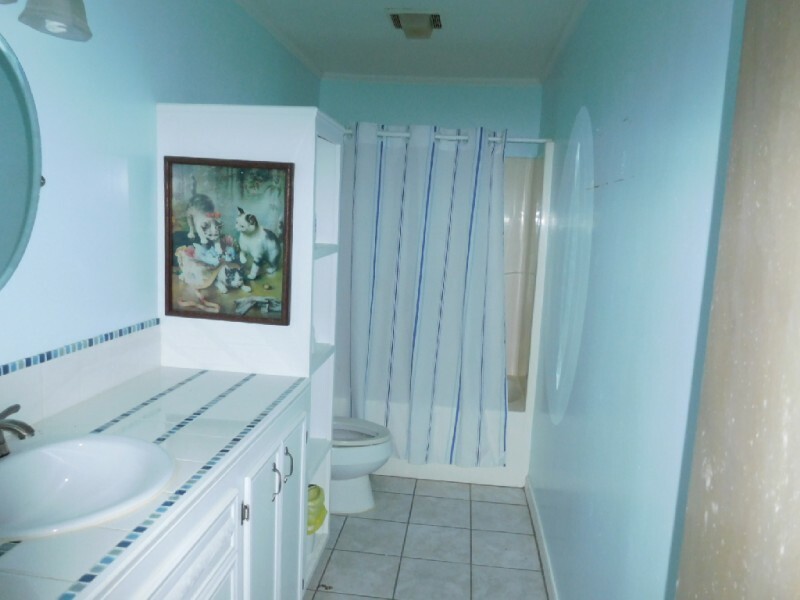 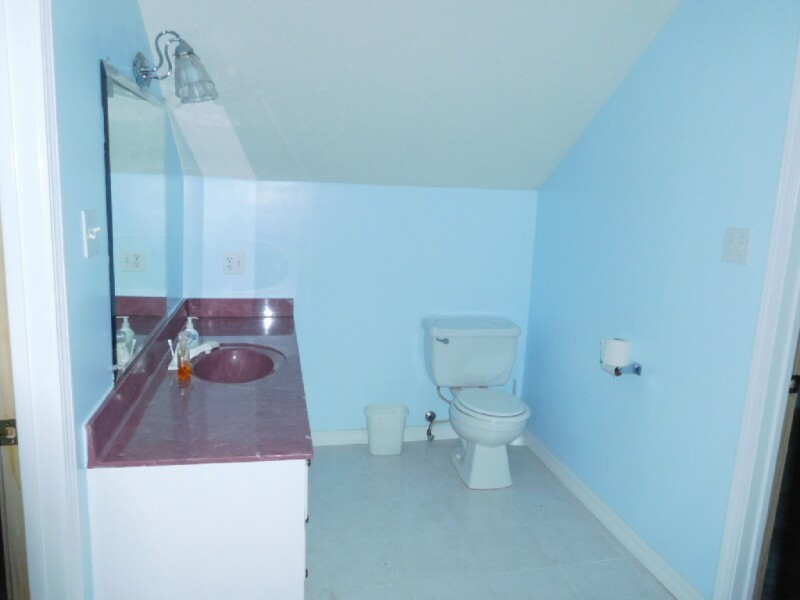 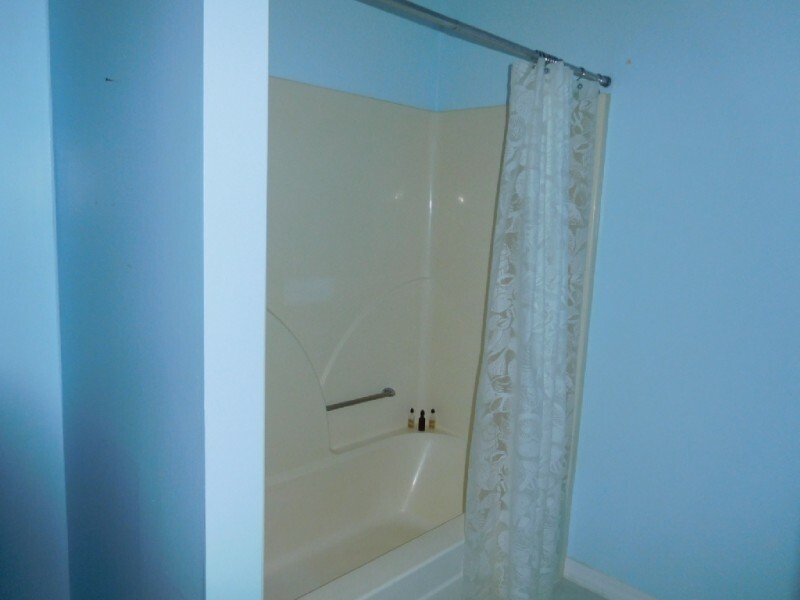 The two remaining bedrooms are upstairs with a jack n jill bath between the two. 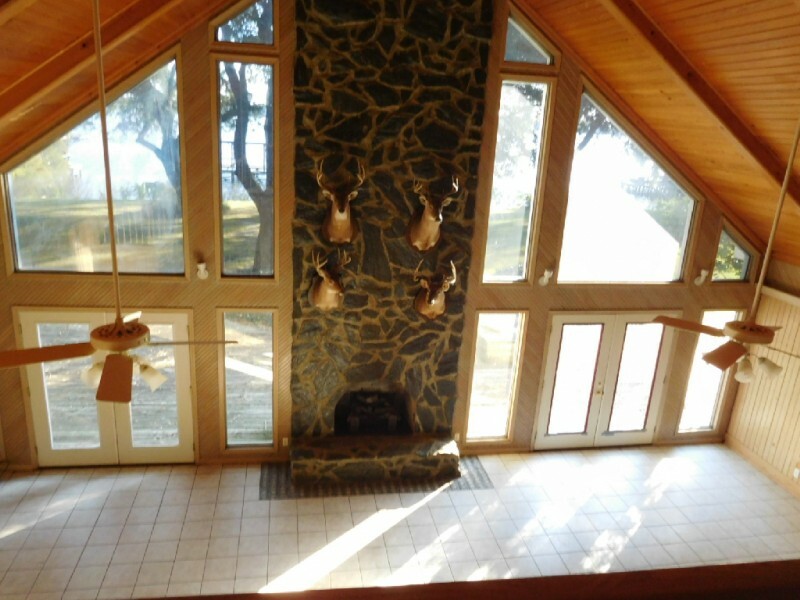 The open den area facing the lake has floor to ceiling glass with a huge stone gas fireplace in the center. 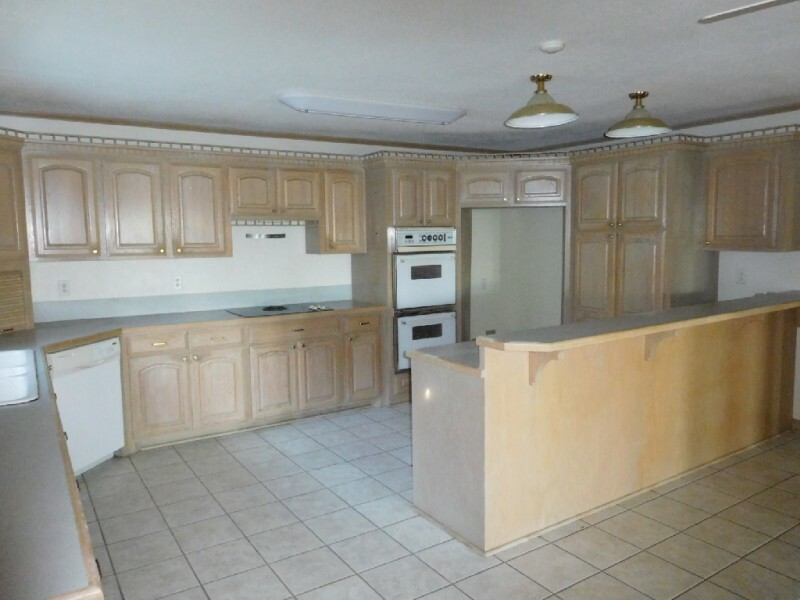 The kitchen is a cooks dream with plenty of counter tops for prepping and cabinets for storage. 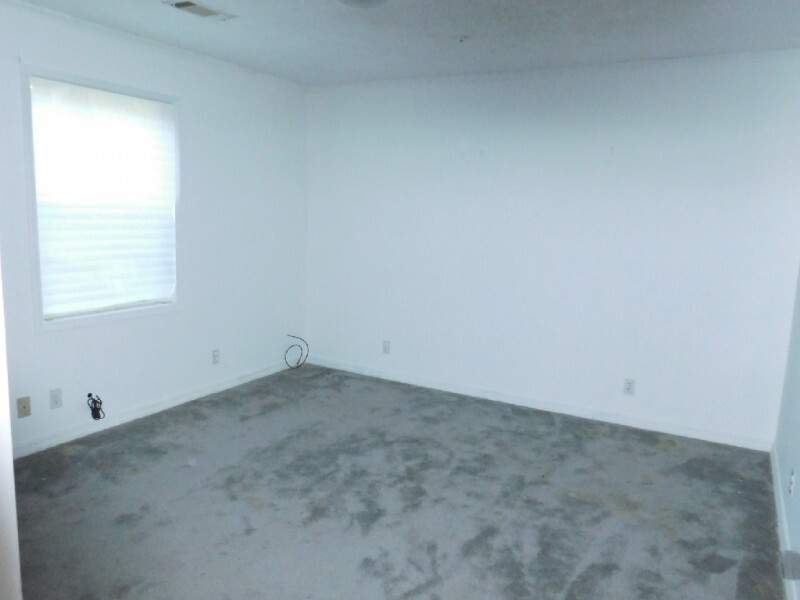 Two AC units, one for the upstaris area and one for downstairs area. 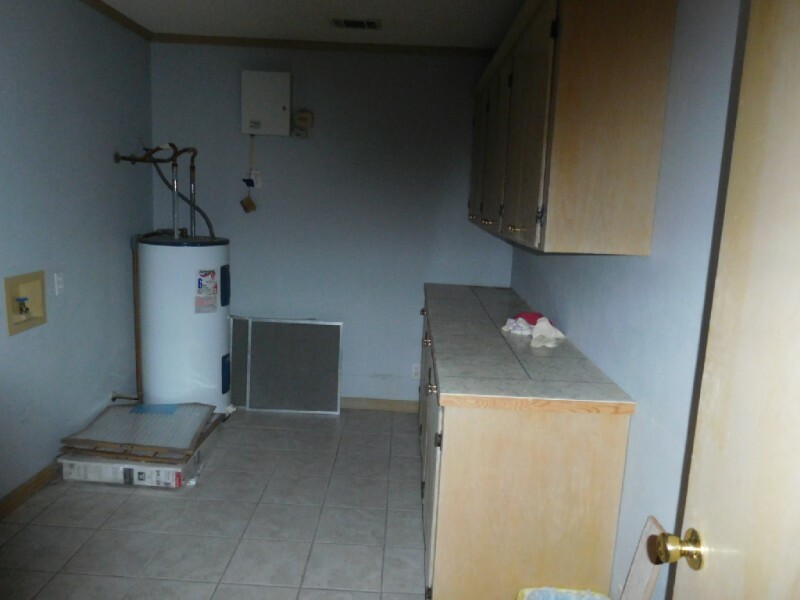 A back up generator provides utilities should the lights go off. 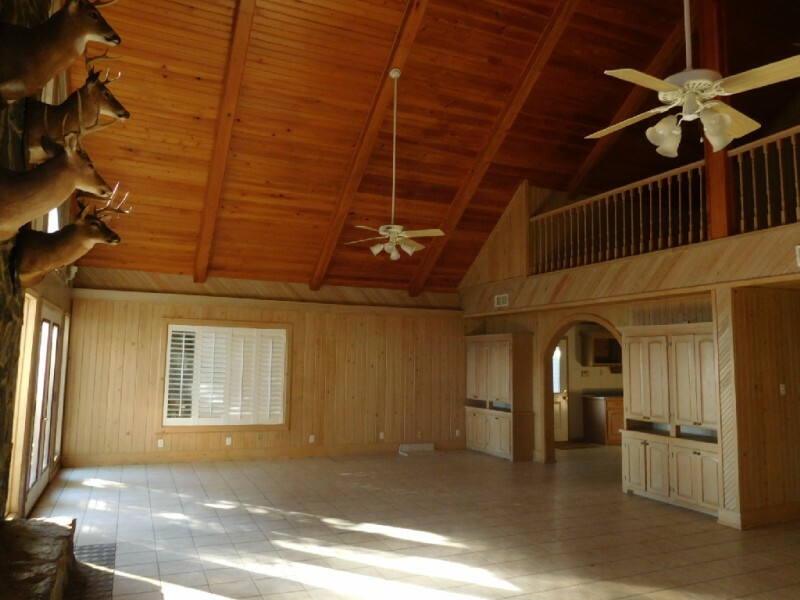 The two car open garage has a large storage room at one end. 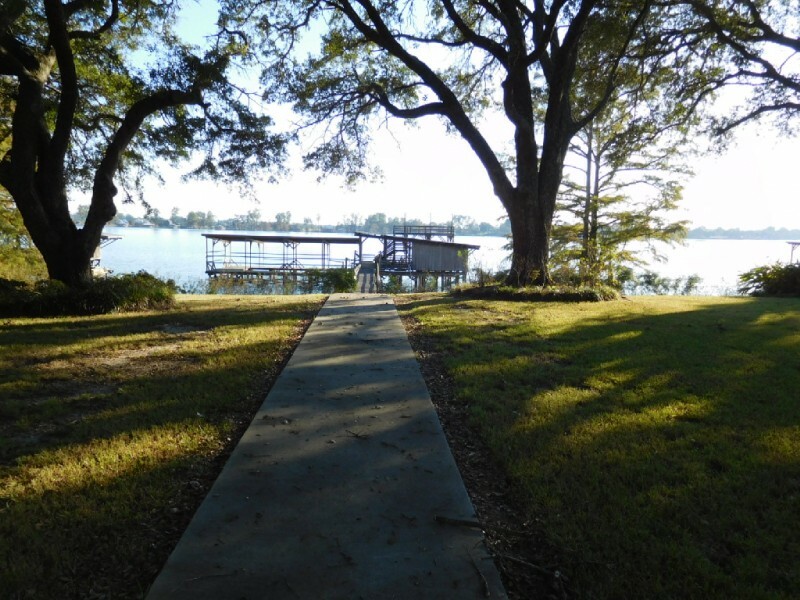 The lake frontage is 137 feet. 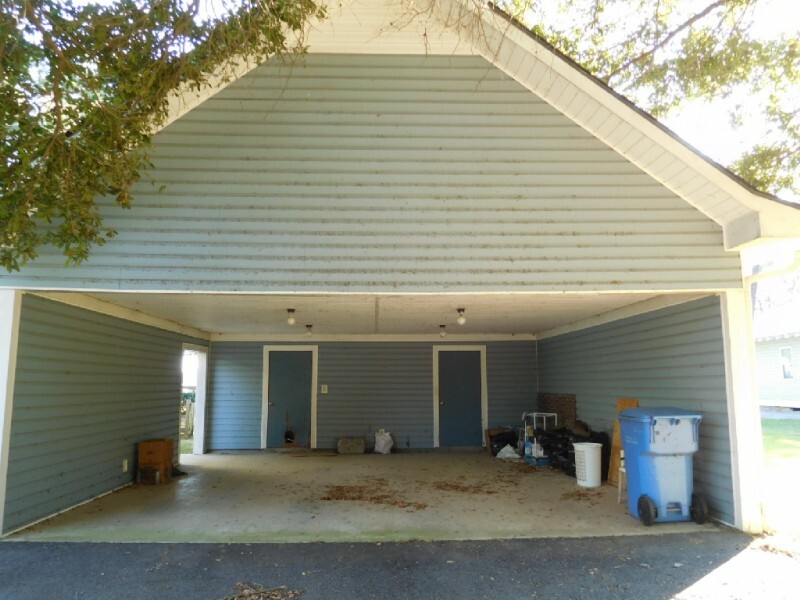 Just off the paved drive is an older wooden shed.